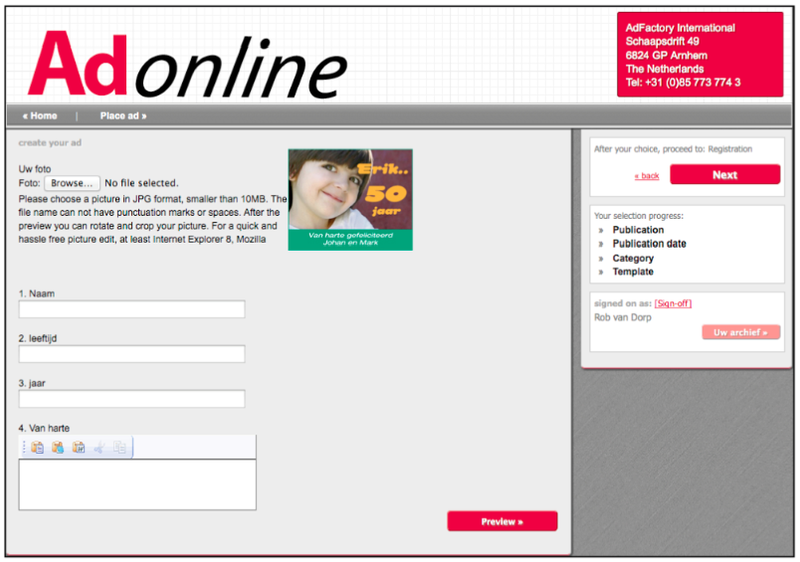 Customers can choose the kind of ad template they like best, and even include their own picture. A preview of the final result including total price can be shown before confirmation of the booking. AdOnline can enhance the look of a newspaper or magazine by offering more variety in the classified ad pages, yet within the templates that you have pre-defined, to guarantee a professional page layout. Each advertising category can have different templates that can easily be adapted to fit changes in the publication. No programming knowledge is required to change or create templates. This means, your ad production department saves time, because part of these ads would otherwise have to be created there;moreover, these ads enter the production flow automatically.